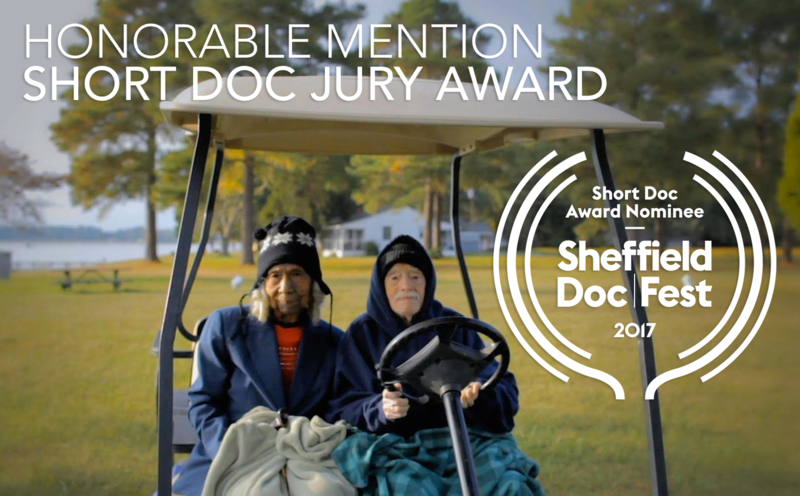 Edith+Eddie, the short film by director, producer and editor Laura Checkoway, received an Honorable Mention in the Short Doc Award category from the Jury at Sheffield Doc/Fest tonight. The festival was the film's European Premiere. The film next heads to Washington D.C. to participate in AFI DOCS' Impact Lab, running June 13-14. The film will screen at AFI DOCS on Friday, June 16 at 1:45PM, in the festival's Shorts: Close Ties program. Director Laura Checkoway and producer Thomas Lee Wright will be attending. Presented in collaboration with NBCUniversal, the AFI DOCS 2017 Impact Lab is an intensive program designed for select filmmakers with issue-driven films who aim to create broader social and political change through the power of film. The Lab will provide filmmakers with training in the areas of advocacy, grassroots communications and grasstops engagement. Edith+Eddie is one of just 10 films selected for the Impact Lab. Contributing to the film's momentum, Edith+Eddie was announced as an official selection of the Palm Springs International ShortFest, June 20-26. The fest is the largest short film event in North America.